Socio-Political-Journal... : Pelosi to Conyers, RESIGN! WASHINGTON –The Republican and Democratic leaders of the House both called on Rep. John Conyers to resign Thursday amid mounting allegations of sexual harassment from his former staffers. Democratic Leader Nancy Pelosi said the allegations are “very credible” and the Detroit Democrat should no longer serve in Congress. “The allegations against Congressman Conyers, as we have learned more since Sunday, are serious, disappointing and very credible,’’ Pelosi told reporters. Minutes later, at a separate press conference, Republican leader Paul Ryan agreed. It’s a reversal for both leaders. Ryan on Wednesday declined to ask for Conyers’ resignation. “I will leave it up to him to decide what he wants to do,” he said at the time. Pelosi on Sunday said Conyers is an “icon” who is owed “due process.” She wouldn’t say that she believed the former staffers who said Conyers harassed them. But under mounting pressure and more allegations, both Pelosi and Ryan changed their stance. 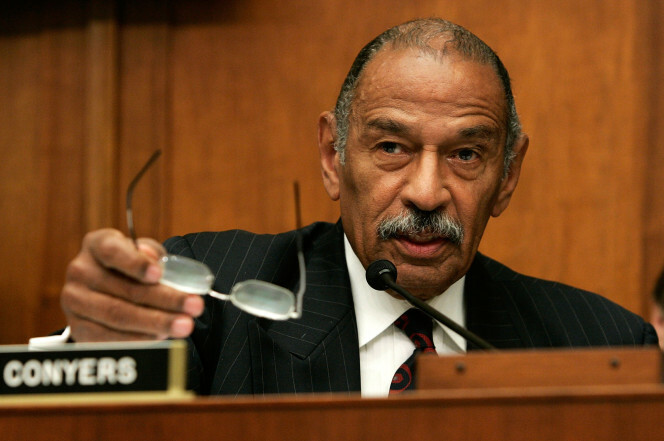 Conyers, 88, is the longest serving member of the House. He already stepped down as Ranking Member of the Judiciary Committee pending the results of an Ethics Committee investigation. He was hospitalized Thursday morning in Detroit, according to his spokesman, Sam Riddle. Conyers has denied the allegations and resisted calls for his resignation. BuzzFeed first reported that Conyers used $27,000 of taxpayer funds to settle a complaint in 2015 with a former staffer who said she was fired for rejecting Conyers’ sexual advances.